The issue of public health at the Belize Central Prison is also raising serious concerns tonight, following a recent visit by officials from the Office of the Ombudsman. 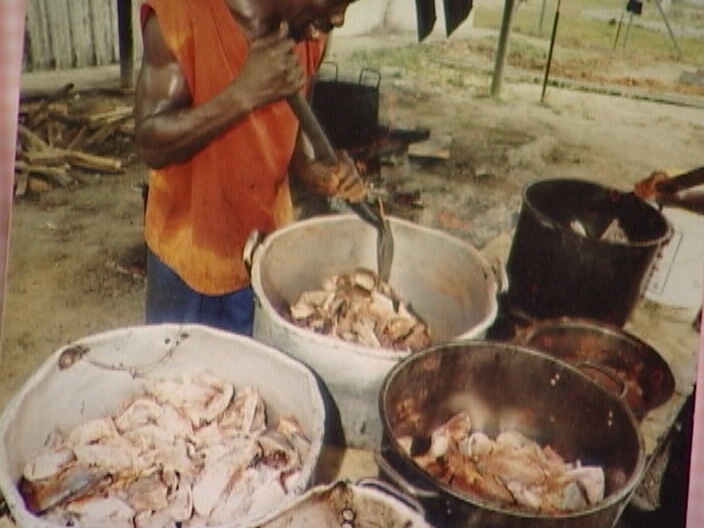 In the wake of the call, public health authorities have filed a report detailing the results of an assessment which includes the unsanitary environment where inmates and employees of the prison prepare daily meals. 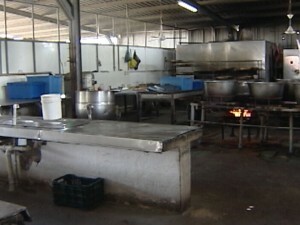 The kitchen, ran by a team of forty-five men and women, both inmates and civilians, is said to be swarmed by houseflies. While authorities have asked prison management to immediately address the situation, C.E.O. Earl Jones says that cleanliness, as well as the upkeep of the facility is a collective effort which includes input from the Public Health Department. The kitchen at the Belize Central Prison, despite the recent assessment, has come a long way from an outdoor cooking area using a fire hearth to an enclosed building with proper cooking utensils. Just read the Amandala and the Ombudsman’s report on the Kolbe prison. Its interesting that the Ombudsman is reporting on houseflies at the prison for a bunch of criminals who actually deserve to be eating the flies and not on the very important cases of abuse against innocent persons that have been victimized by police like our friend Stephen Buckley. Also, the kolbe prison looks like a modern one with stainless steel utensils so why make it better for these criminals to live luxuriously. What is the fuss about? ?/ Let them eat the flies, they are there for bloody crimes for heavens sake. Houseflies do not spread Tuberculosis. Tuberculosis is airborne. Why can’t the prisoners be responsible for cleaning the prison? They’re there because they committed crimes so put them to work. so now we will waste our time to entertain prisoners environment; the objective of jail is for the prisoner to punish; it a punishment for what you have done. So therefore once he/she is freed that person should be damm afraid to return….as u say the word “P” they should shiver. 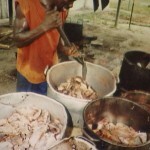 The tax dollars is not for prisoners to live lavishly…we already have to feed them fools 3 times a day…..I wish they all could be remanded with hard labour. I wish the “Hard Labour Law” would come back for those lazy men who just want to thief, kill & don’t want to work; but that’s another matter because Human Rights will be there defending the wrong issues…….. Hundreds of police brutality cases, issues with the Lands Department to legitimately get your documents and the ombudsman has time to check out flies? Really? What a joke of the ombudsman’s man office?? What a damn joke on him, shows where his priority is, what a screwed up government!